Barely 24 hours after ex-President Olusegun Obasanjo said the Boko Haram insurgency had worsened under the current administration, President Muhammadu Buhari on Wednesday said his government had done well in the area of security. The opposition said the governor wouldn't be crying if there was peace. Buhari made the claim while addressing the All Progressives Congress supporters at the party’s presidential rally at Giginya Stadium, Sokoto, the Sokoto State capital. Obasanjo, had in an interview with the BBC Yoruba on Tuesday, lamented that Boko Haram insurgents were deadlier than they were before the present administration. He also criticised Buhari’s economic policy, saying foreign investors were shunning the country. 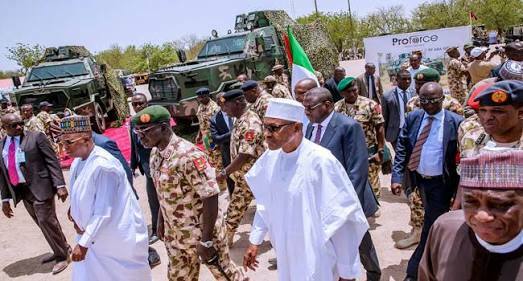 But in Sokoto on Wednesday, Buhari said the mammoth crowd at the APC rally in Borno State on Monday was a proof of the success of his government in the area of security. He stated, “When I came here in 2015 to campaign, I promised three things, to fight corruption, stop insurgency and to improve our economy. Today we can all see the results of the three. “The unprecedented crowd that welcomed us in Borno was a testimony to the fact that we have done well in the area of security. “The country has witnessed bumper harvest in the last two years, signifying that our economic policy is working. 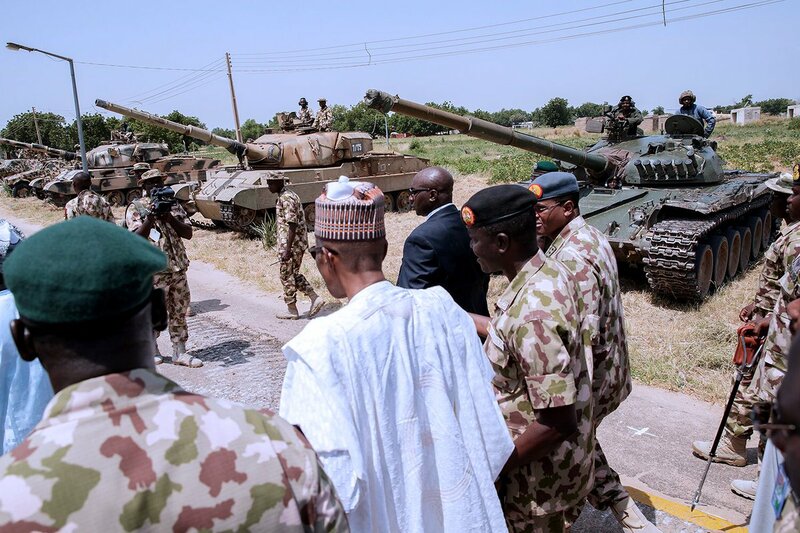 In response to Buhari’s claim that he had achieved security in the North-East, the Peoples Democratic Party said that the President was merely talking politics. The National Chairman of the PDP, Prince Uche Secondus, who spoke to one of our correspondents, said there was no way the Governor of Borno State, Kashim Shettima, would have visited Abuja crying over the deplorable security situation in his state if things were working well. Secondus said Buhari must have also forgotten that farmers in the North-East and North-Central had been crying over their inability to return to farm because of the insecurity in their areas. He asked Nigerians to hold the President responsible for the killings of innocent Nigerians in the country. He said, “Nigerians saw the governor of Borno State when he cried openly at the Presidential Villa over the deplorable security situation in his state. “He said the situation was becoming unbearable and that people were being killed anyhow. Has the President forgotten that so soon? “People came to see the President and waved at him to say goodbye. They came to see a man who promised so much but couldn’t deliver a little. They came to see a man who said he would make life better but has succeeded in making life miserable to them.